15 Great questions and answers about H.E.R.O. 1)What does H.E.R.O. stand for? H.E.R.O. is an acronym that stands for Honest Examination of Real Occurrences. The emphasis here is on honesty. When you’re working the H.E.R.O. 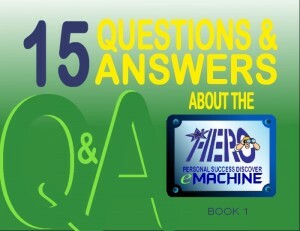 eMachine personal on-line session a HERO live guide will be there with you spotting for you to make sure you stick to actual true life events. This is important because, in order to work, the format needs you to recall true-life examples where you can detail your own stories where you used your persistence and your determination to push through barriers to reach a successful outcome. 2) Why should I take H.E.R.O.? No one has to take H.E.R.O as a direct requirement for success but it is recommended. It lets you recognize the core motivational energy that is behind every persistent action you took to break through barriers and achieve a goal. This discovery is tactile and very personal to you. It is the fundamental take-away that enables you to better appreciate where your core strength is coming from. Life is mostly lived on an incline so having this new ability will be a huge asset in a world with increasing challenges and new opportunities opening up to those who can endure. 3) How can I benefit from H.E.R.O.? You can benefit from H.E.R.O. in many ways. But one over-all benefit is that it boosts the speed of which your natural mindset immunity operates to maintain your thinking mindset in a state of balance. Just as in your physical immune system it’s known as HOMEOSTASIS: Not too high and not too low. This allows you to be more adaptable and creative in the face of challenges that come your way. When we meet with challenges, or even expectations of challenges to come, you will inevitably get hit with worries causing stress. H.E.R.O. combats this condition naturally and is what we call Brain Balming. If you’re setting out to do something new mistakes will happen – there’s no avoiding that – but at least now your mindset won’t be so easily hijacked by negative influences that might have otherwise invaded your head-brain thought space. You’ll also end up with a much higher opinion of your own self-worth. This builds a solid self-belief that won’t ever shrink in the face of adversity. These attributes are known to be essential to reaching success in anything. 4)What should I expect during the H.E.R.O. seminar? Once you login and navigate to the H.E.R.O. online seminar entry page, all you have to do is to click the ‘Start Now’ button and a chat window opens. Your assigned live guide will be there to assist you throughout the entire process. He or she can’t help you do the actual work of writing your responses to the word-keys – that’s your job – they are there simply to see to it that you stay on track for the duration of the seminar. They will supply you with the special memory triggering word-keys, one at a time, in the proper sequence. These form the basis of the H.E.R.O. methodology and help you to trigger various parts of your memory where persistence or determination played a prominent role. You will be responding to these keys with true stories as if you we’re describing these victories to a friend. 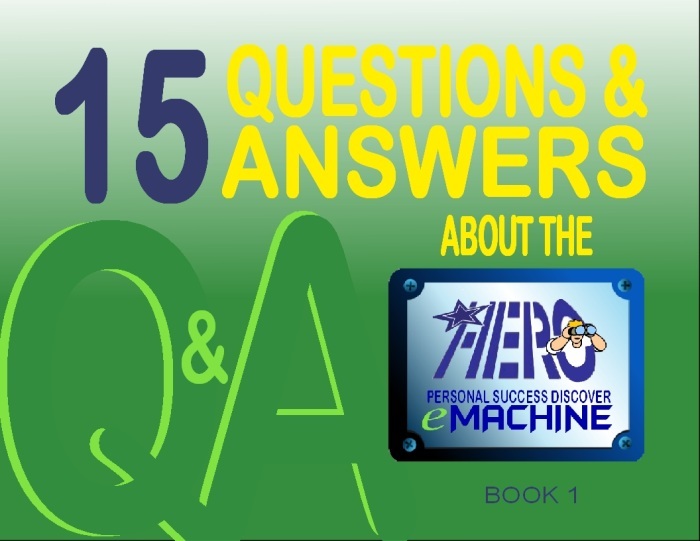 5) How long does the H.E.R.O. seminar take? This depends on how fast you can work with your memory and recall to respond to the various keys that are given by your live guide. Although everyone is different our years of experience indicates that, on the average, H.E.R.O. Day 1 takes between 5 – 7 hours to complete properly. Day2, if you decide to include it, is of shorter duration. 6) Why does H.E.R.O. have to be done in one go? H.E.R.O. (Day 1) must be done in one non-stop session because a lot of concentration is required in order to think and remember the relevant past experiences that match the set of key statements you’re working on. If you break the chain of concentration for too long (we recommend no longer than 15 minutes) it’s difficult to get it back and the effectiveness of the session could be lost. 7) Since it takes a long time to complete, can I quit H.E.R.O. in the middle of the seminar and come back to it later? 8) What’s the H.E.R.O. Test Drive all about? H.E.R.O. uses such an unusual format that we wanted to make sure everyone who signs-up for it has a good idea of what to expect. So we introduced the Test Drive to provide that experience before any financial commitment is made. There are twenty-one steps in H.E.R.O. Day 1 and the Test Drive will take you through the first three. At this point you can take a short break and decide if you want to continue on with it or not. If you do decide to move on you must do so right then and there. So make sure you have already come to it with the time and the financial commitments already sorted out. You may leave of course and owe nothing. Just be very sure about your decision because once you quit and exit the on-line H.E.R.O. platform you will not be permitted to come back later and restart where you left off should you change your mind. H.E.R.O. sessions are live-guided and, due to logistics, at this time we can only allow each person just one opportunity to start and finish the H.E.R.O. session. 9) Will I find new things about myself with H.E.R.O.? You can find out a lot about yourself with H.E.R.O. because the methodology is designed to zero in on the forgotten success highlights of your life. These are your personal victories when you overcame obstacles and got to a desired goal even though you may have mentally given up all hope. When you see these things in a new perspective you’ll come to know that you are a stronger more adaptable and more creative person than who you originally thought you were. This realization creates within you a very positive self-belief. One that is based on one single truth that you discovered within the time-frame of your H.E.R.O. session: You have been a success many times in your life already. This is again reinforced by the hard evidence provided in the “My Victory History” compilation document prepared and delivered to you via email a few days after H.E.R.O. is completed. 10) What makes H.E.R.O. different from other self-help products out today? 11) Can I really find my own success story with H.E.R.O.? Yes. Your own success story is written by you within the H.E.R.O. workshop. That’s part of the structure that H.E.R.O. is put together for. It goes after isolating separate highlights of your life by giving you special keys that trigger your memory so you can recall situations in which your persistence played an inspired role. When you work with H.E.R.O. you’ll be able to uncover a whole library of personal successes in your memory. At the very end of the seminar, you will be given a graduation gift known as the ‘My Victory History’ ebook, which is a personalized compilation of all your successes delivered in a PDF file and sent via email. 12) How do I take H.E.R.O.? In the past H.E.R.O. was conducted in hotels and conference centers just like any other traditional seminar was done. But today H.E.R.O. is solely done through an internet connection to the H.E.R.O. Personal Success Discover e-Machine platform. As long as you have a computer that has access to the Internet, you can do H.E.R.O. from wherever you are. A live guide is assigned to you in real time so that you are guided through the entire thing. Just be ready to commit the time for its completion. 13) How do I know if H.E.R.O. is for me? Of course this is something for you to decide. You are given all the necessary information beforehand so you can take it from there. We even offer the free H.E.R.O. Test Drive. But, of course, not everything is ever going to be for everybody and we understand that. There is however a commonness among all people – the internal gut drive that backs times of persistence and determination. H.E.R.O. makes that drive more active and allows you see it as a type of immune system for your mindset. Once isolated it will give you the steadiness you need when facing any challenge. With this the end decision is yours to make. 14) Will H.E.R.O. help me succeed with my endeavors? HERO is predicated on the belief that success breeds success. As a person you’ve had a whole history of successes in your life already. But, while you were happy with the success you’ve attained, you missed out on being able to apprehend the root source of where the drive that caused the success came from. What H.E.R.O. does is allow you to review those past successes (even the little ones) with the keys provided so you can re-live the experience and identify tangibly the motivational elements of persistence and determination that you’ve used to achieve those past successes. Identifying the actual drive that caused these past successes makes it easier for you to use it in influencing future success outcomes. 15) Do I really have to tell you personal things about my life in H.E.R.O.? No not at all. We only need to have enough detail so that we can be able to clearly understand the success incident you’re writing about. No one else reads your responses. Even with the My Victory History document only one copy is ever produced and that one is sent to your preferred email. You can even choose to not have the document assembled at all. After your H.E.R.O. session(s) is over we never keep any data your entered longer than we absolutely need to. If you have any other questions that you’d like to see added here please put them in the comments section below and I’ll make sure they’re all answered.